Check out the newest edition to Hoorfar Law. It is always fun working with Hoorfar, because you never know what vehicle they are going to wrap next. This PT Cruiser is a nice addition to the fleet of unique vehicles at Hoorfar. 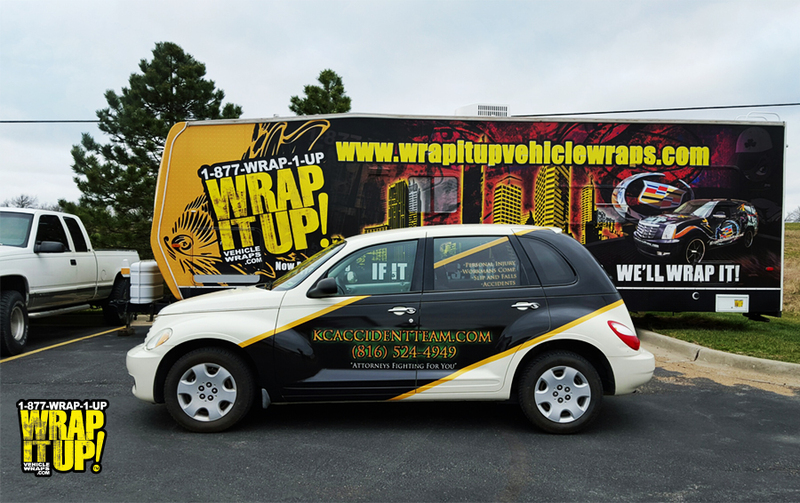 This SUV wrap design is great for a company like Hoorfar it works with all different types, and sizes of vehicles. If you ever find yourself in need of legal help make sure you contact Hoorfar Law. Thanks again Hoorfar!